Tomorrow is the first day of spring! Can you believe it’s finally here? We are so excited that we want to celebrate all season long, and that’s why we’re starting our 100 Miles in 100 Days series. From the first day of spring to the first day of summer is 100 days. As coincidence would have it, Raleigh also has 100 miles of greenway in the city. It’s a perfect match! 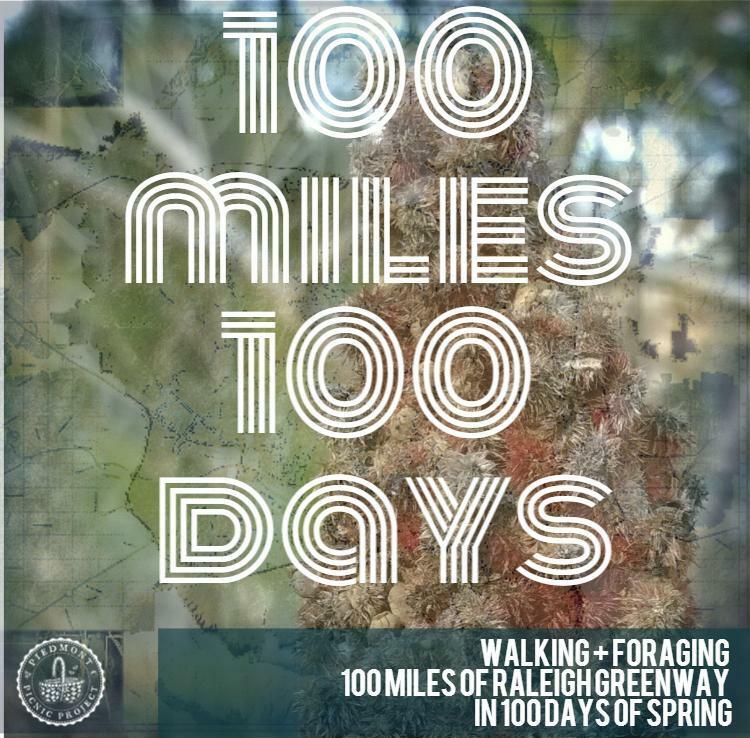 Over the course of the next 100 days, we’ll be walking all 100 miles of Raleigh’s greenway system, pointing out forageable plants along the way! What would Raleigh taste like if it were a fermented soda? A pickle? A jam? 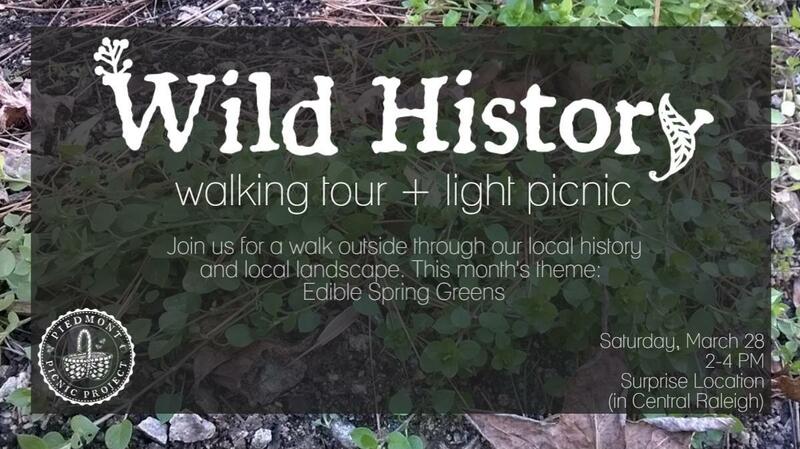 Well, we’ll be exploring that too as we go along… Stay tuned to our blog updates for the whole season as we document all that we do with the wild flavors you can find around your local environment. These flavors tell a story about the place we live and what people have been eating here for millenia. As we walk through many of these spots, we hope to be able to embed certain flavors within certain historical contexts – telling you a piece of the story behind the places we visit along the greenway. Stay tuned for updates on our walks through the blog and our NEW instagram account as well as facebook and twitter, of course. We won’t necessarily walk one mile per day, but by the end of spring, we’ll have walked all 100 miles… Oh! And don’t forget keeping an eye out for walks we can take together through our Wild History tours – one’s coming up next week!